Does a pharmacy technician need a degree? What Does A Pharmacy Technician Actually Do? What does a pharmacy technician do at CVS? What is a nuclear pharmacy technician? There’s an abundant need for experienced pharmaceutical-support professionals capable of dispensing prescription medications quickly and effectively. According to an Occupational Outlook Handbook published by the U.S. Department of Labor, employment of pharmacy technicians will increase by 32 percent between 2010 to 2020 – a growth rate that is faster than any other occupation. In the Handbook, the Department of Labor attributes the projected growth to the escalating senior population and a constant supply of prescription medications to fight diseases. In Arizona, the need for pharmacy technicians is on par with the rest of the nation. Certified pharmacy technicians take prescription requests, verify prescriptions, count, and bottle tablets, prepare liquid medications, label containers, update patients’ records, manage inventory, and submit claims to insurance companies. The Arizona State Board of Pharmacy requires pharmacy technicians to register with the state Board before practicing at licensed pharmacies. 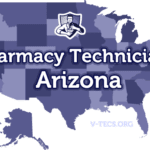 Arizona’s pharmacy technicians must obtain registration as a Pharmacy Technician Trainee or a Certified Pharmacy Technician before working at the state’s registered pharmacies. Students enrolled in statewide pharmacy technician training programs must apply for registration before completing the experiential component of the education program. A pharmacy technician trainee license is valid for two years and is only applicable for pharmacy technicians who are not certified by the PTCB. Applicants must present a high school diploma or GED, a U.S. birth certificate, the application fee and a completed application for registration form. Once the Board approves the application, the pharmacy technician trainee can commence training or employment in a retail or hospital pharmacy. Pharmacy technician trainees can upgrade their license to a Certified Pharmacy Technician by acquiring PTCB certification. The Pharmacy Board develops the PTCE exam and issues the national certification to qualified technicians. Applicants for state registration as Certified Pharmacy Technicians must present proof of PTCB certification at the time of application and renewal in order to maintain the full license status. Applicants must be at least 18 years old to register as a pharmacy technician in Arizona. Applicants for state registration must possess a high school diploma or GED equivalent. A high school diploma is also required for PTCB certification – for candidates who want to register as Certified Pharmacy Technicians in Arizona. The Board of Pharmacy will accept the following documents as proof of high school completion. GED test results indicating your passing scores. Applicants must declare previous misdemeanor or felony charges on the application and include a copy of the paperwork related to the charges. The Deputy or Executive Director will review all applications with charges and make a determination on the request for registration. Felony charges will delay the processing of the application and may require a criminal background check. Applicants applying for full registration must provide proof of PTCB certification in the form of a PTCB certificate, PTCB wall card, or letter of passing score from the PTCB. Pharmacy technician training at ASHP accredited institutes prepares graduates for entry-level positions as pharmacy technicians in a community, hospital mail order pharmacy or similar health care setting. The course of study comprises of classroom instruction and experiential training at a local pharmacy. Classroom training covers topics such as pharmacy operations, pharmacology, health care concepts, pharmacy administration, pharmaceutical calculations and medical terminology. A clinical externship gives students an opportunity to work first hand with pharmacists, serve customers and be a part of a team consisting of other pharmacy technicians and health care personnel. Program graduates will have the foundational knowledge and skills to support pharmacists in areas such as office procedures, administration, pharmacy technology and pharmacology. Tuition for ASHP accredited training in Arizona costs approximately $7,500. The advertised cost at most campuses does not include registration fees, textbooks, workbooks, criminal background check, immunization, physical exam and PTCB certification. Financial aid may be available through scholarships, federal and private loans and special grants. The duration of training varies from 100 to 750-contact hours, which translates to 2 months to 10 months. Arizona’s Board of Pharmacy does not require formal education for state registration. You can also challenge the PTCE without prior pharmacy technician education. 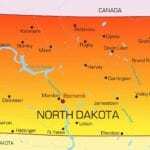 However, the state’s minimum requirements in no way reflect employer requirements. Training is advantageous if you plan to improve your chances of passing the PTCE exam for national certification. If you’re serious about your career a pharmacy technician, you should consider pharmacy technician certification through the PTCB. Arizona’s employers are actively seeking committed employees who demonstrate their competency through relevant industry training and certification. 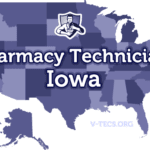 The state and employers recognize technicians with credentials from the Pharmacy Technician Certification Board (PTCB). You must have no felony convictions and no drug, or pharmacy-related convictions to take the exam. You’ll also need to provide proof of completing high school. Successful candidates will receive the Certified Pharmacy Technician (CPhT) designation and must recertify every two years – after completing 20 hours of continuing pharmacy education. Demonstrate your commitment to the health care profession by acquiring CPhT designation. There are two options for pharmacy technician registration in Arizona. Download and fill out the pharmacy technician application. Provide proof of legal U.S. residency (birth paper, passport, naturalization). Non-US citizens must prove eligibility to work in the U.S. Provide proof of high school graduation or GED. Submit the non-refundable application fee of $46 in the form of a check or money order. Online applicants can submit payment using Visa, MasterCard or American Express. Provide proof of legal U.S. residency. If you’re a not a citizen, you must provide proof of your eligibility to work in the U.S. Submit a copy of your high school diploma or GED. The application fee for registration as a Certified Pharmacy Technician is pro-rated. The maximum fee is $52. Check the application form for a breakdown of the prorated fees. Registration for pharmacy technician trainees is non-renewable. Certified pharmacy technicians must renew their registration with the Board every two years. The Board of Pharmacy will send out the renewal notice with the applicable fees 30 to 45 days before your license expires. It is crucial that you notify the Board of any changes in your name or address within 10 days of making the change. Along with a completed application for renewal, you must provide a copy of your up-to-date PTCB certification, proof of at least 20 hours of continuing education, and the renewal fee. The Board will terminate your license if you fail to renew by the expiration date. 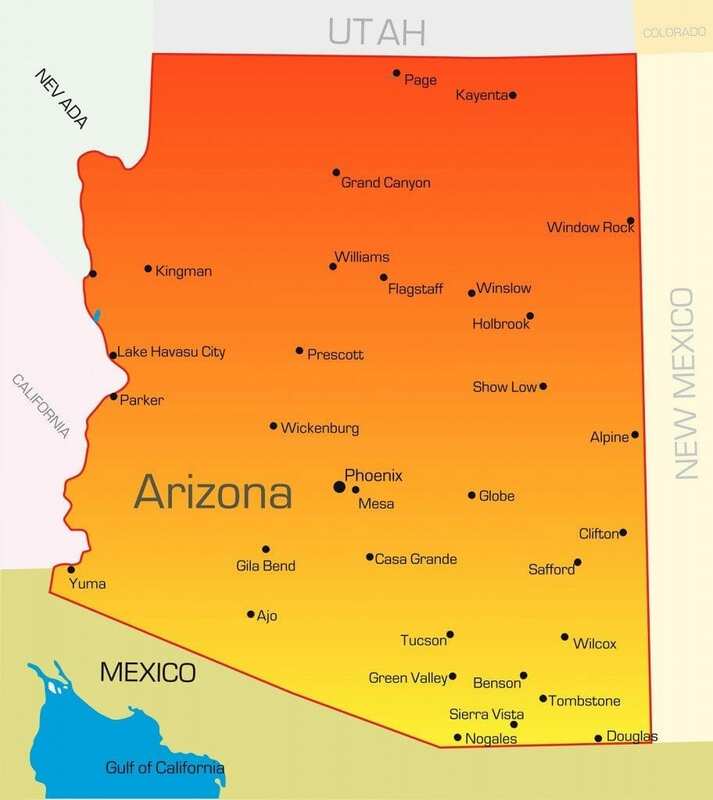 Arizona does not practice reciprocity with other states. Pharmacy technicians, licensed to work in another state, must apply for registration with the State Board of Pharmacy before commencing work in Arizona. Pharmacy technicians certified with the PTCB can register as Certified Pharmacy Technicians with the Board. 9215 North Black Canyon Hwy.